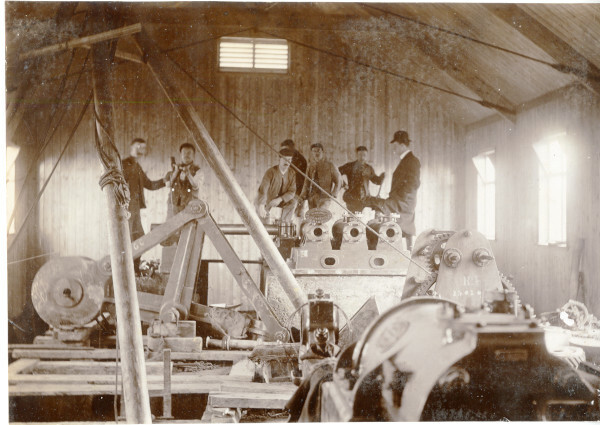 Sepia photograph of the interior of pumping station on Baldock Road. The equipment for the station is in the process of being installed. Several large pieces of machinery are resting on the partly finished floor. At the back of the picture several workers stand. One wears a bowler hat. The station has a pitched wooden roof and is lit by windows on the long wall. There is a shorthand note above the photograph in the original album which is indecipherable. See also 58 and 61.